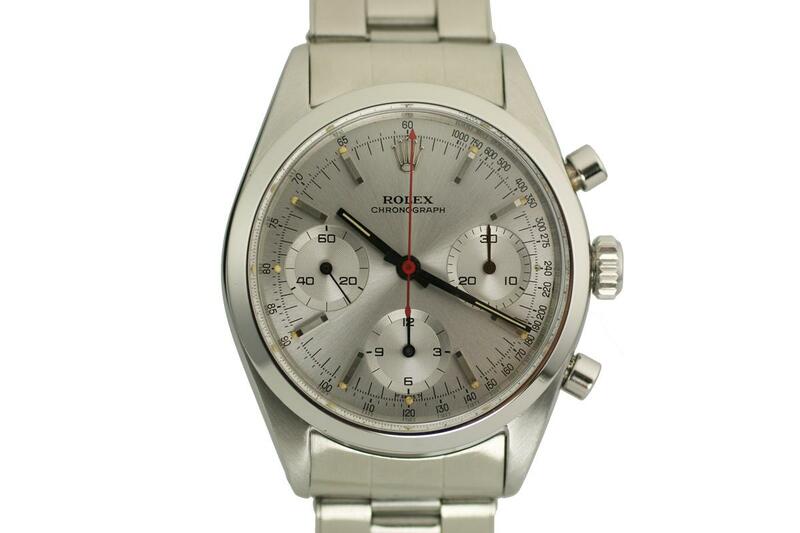 This is a great example of the Rolex Chronograph reference 6238 known as the pre-Daytona. What is incredible is its provenance. 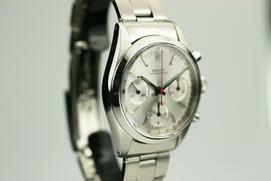 This is the actual watch worn by George Lazenby as James Bond in the 1969 film On Her Majestys Secret Service. 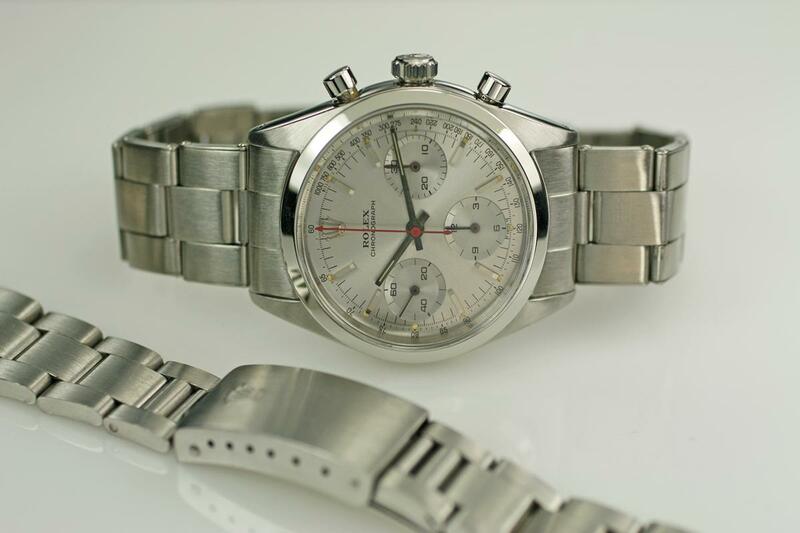 This is a very rare opportunity to own a piece of both James Bond history and horological importance. There are some different features on this 6238 which include the black hour and minute hand and the red seconds hand. I am not sure why this was done this way. 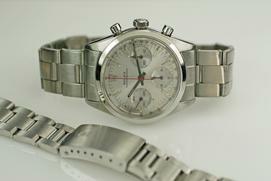 There is clear provenance on this watch as it was the actual watch that was in a 2003 London Christies Entertainment and Film auction. 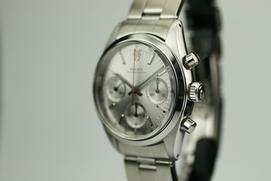 Read an article about this James Bond Rolex pre-Daytona Watch over at Hodinkee.com. 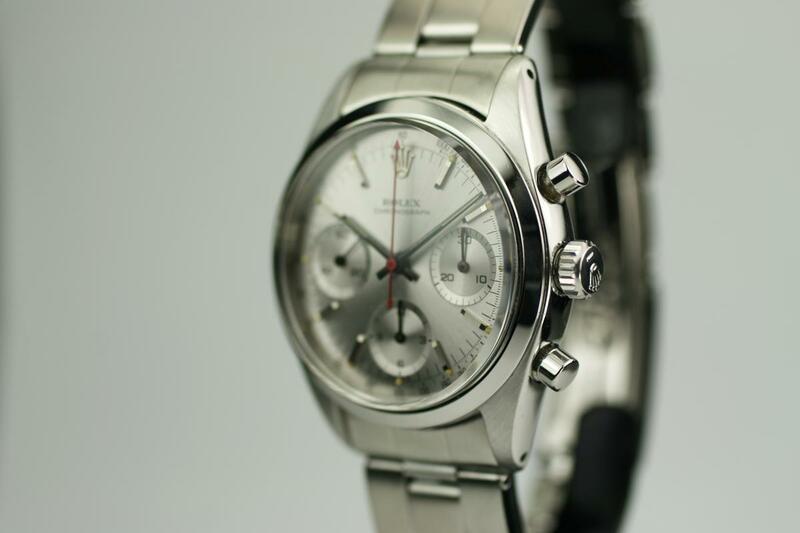 An article about this watch also appears on The James Bond Watches Blog. Read what Matthew has written about this vintage Rolex watch.